Loretta’s may be an amateur race, but it has taken big steps forward in professionalism over the years. The race took another giant leap today with a live television airing on NBC as part of the Red Bull Signature Series, and some of the riders featured on that show didn’t even need the amateur stage to show what they had. In 250 A, Matt Bisceglia and Shane McElrath came into the final moto tied for the championship, but both were already sporting pro deals from the Factory Connection/GEICO Honda and Lucas Oil Troy Lee Honda teams, respectively. They tried to downplay the pressure here, claiming the race didn’t matter that much, and their eyes were focused on the pro stage next weekend at Unadilla. But when it came time to race, reality set in, and they both went after it with all they had—and when Bisceglia claimed that 250 A Championship, his second title of the week, and with it the coveted AMA Horizon Award, he showed real emotion on the podium. The top amateurs might practically be pros these days, but this one still matters. Also headed to Unadilla is New Jersey’s Luke Renzland, who scored a Schoolboy title here in 2010 and missed the race in 2011 and 2012 with injuries. Needing a rebound to rejunivate his career, he scored the 450 A Championship and took third to Bisceglia and McElrath in 250 A. He says he's aiming for top 15 in his pro debut on a 450 next weekend at Unadilla. 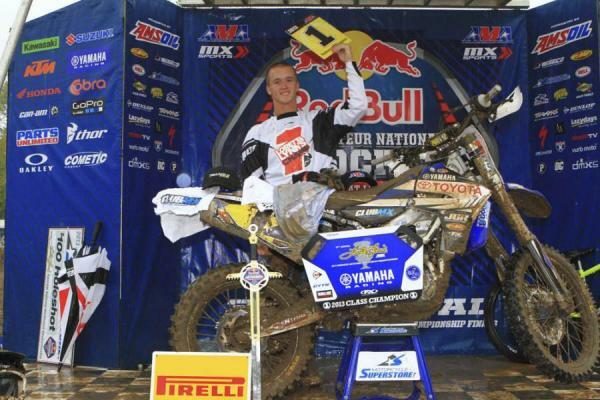 ...and McSwain collected the 450 B Limited and 450 B titles for Yamaha. 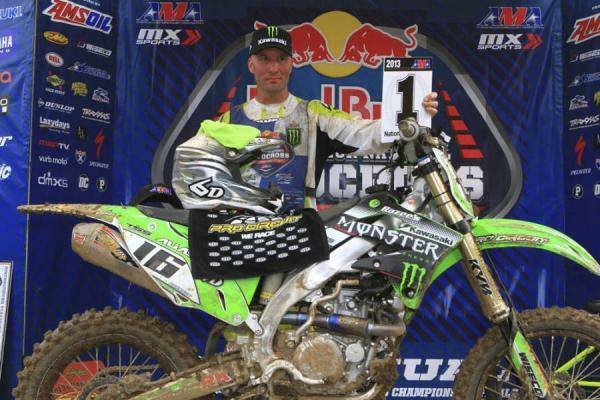 In a super-muddy final race of the weekend, Keith Johnson overcame a massive first turn crash to salvage the title. He was in 38th place at one point! On the opposite end of the scale is Jerry Robin, already a folk hero for qualifying for Loretta’s on a 1985 CR250—because he couldn’t afford anything else. He blew the ’85 up in practice and got a 2007 bike to race in the two stroke class, and promptly proved he’s more than just a gimmick. Robin has legit skills, taking the Two-Stroke Championship with 1-5-1 scores. He did get the ’85 revived to race in 250 B, also, where he scored ninth in a moto on it. Aaron Plessinger was the breakout star of the week, sweeping all six of his motos in the 450 B and 250 B classes. While AP certainly had some experience come in handy in the numerous muddy motos during the week—he’s the son of multi-time Grand National Cross Country Champion Scott Plessinger and has ridden plenty of GNCCs himself—he also pulled through in the dry, showing he has a well-rounded game. Star Racing Yamaha already has Plessinger dialed in. Factory Connection Honda’s Jordan Smith had crashes and bad luck thwart his efforts against Plessinger in 250 B mod, but in the Limited class he dominated with a 1-1-1 score. Smith’s speed is darned impressive, and many think it will be tough for him to stay in the A ranks all the way through Loretta’s next year. 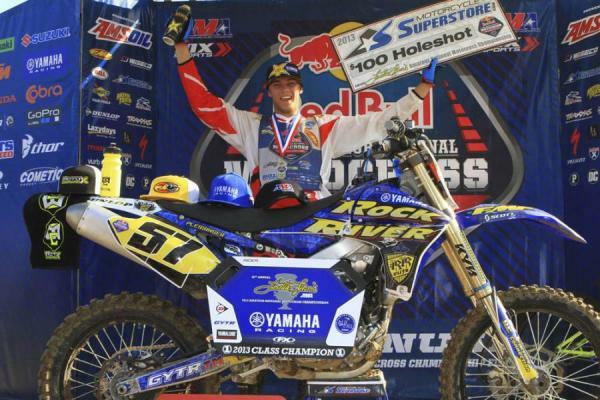 Could a move to Hangtown ’14 be in the cards? Could it be for Plessinger, too? There’s one other B class, 450 B Limited. There, another son of an off-roader, Tyler McSwain, grabbed the title. His dad Steve was a bad enduro dude back in his day. 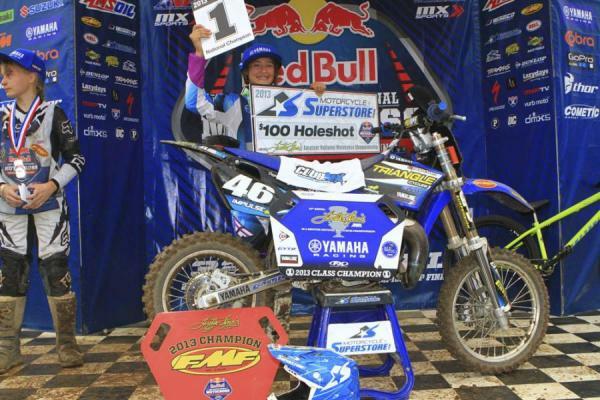 Tyler had collected three championships here at Loretta’s in his 50cc days, but this was his first title since then. The Girls classes told the story of dominance. Hannah Hodges swept all three motos in Girls (12-16) and Jazzmyn Canfield swept the Girls (9-11) class. Canfield, incredibly, has won all three of her Girls motos the last three years here in this class. That’s amazing. Also, congrats out to Joey Crown, who was (yes) crowned champ in both of the Mini Sr. classes. ...and Jazzmyn Canfield were the rippers in the two Girls classes. After being bested by Robbie Reynard in a showdown in yesterday’s 35+ class, Tim Ferry grabbed the 25+ title today. He was named the AMA Vet Rider of the Year for that, matching up with Bisceglia’s Horizon Award and Jett Reynolds, winner of both 50cc and 65cc titles, as the Youth Rider of the Year. HURRICANE MILLS, Tenn. (August 3, 2013) - The 2013 Red Bull AMA Amateur National Motocross Championship presented by AMSOIL wrapped up a weeklong competition on Saturday, officially crowning 36 National Champions at the evening's award ceremonies. Adverse weather conditions presented additional obstacles for the racers but in the end, the 32nd annual championship proved to be one of the most historic events to date. 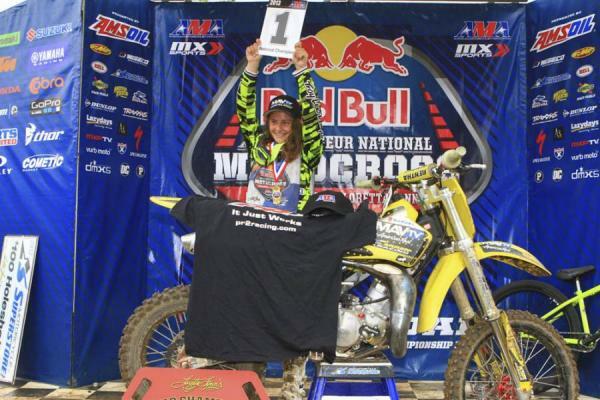 That concludes the 2013 Red Bull AMA Amateur National Championship presented by AMSOIL at the Loretta Lynn Ranch in Hurricane Mills, Tenn. Click HERE for all results from the 2013 National.